On July 16, Phast Phreddie the Boogalo Omnibus was a guest DJ at Out of Sight, the groovy new soul music dance party held every Thursday and hosted by our pal DJ Xerox at the Beauty Bar in Manhattan. This time out, The Boog’s partner was Peanut Butter Brown. Mr. Peanut Butter is making a final tour of DJ nights, as he is due to move to San Francisco in the early fall. New York City will miss him and his Uptown Getdown series of soul music events. On this night, Peanut Butter Brown and the Boogaloo Omnibus traded thirty-minute sets. As the evening was winding down, a bunch of revelers appeared and the two DJs responded by making them dance an extra half-hour after the event was scheduled to end! 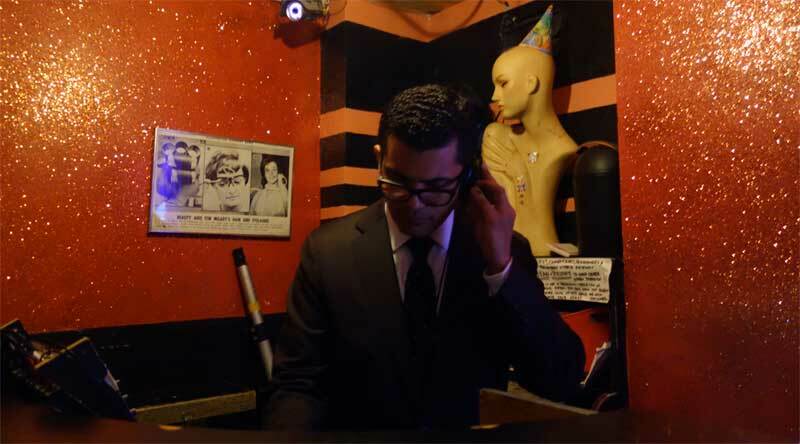 DJ Xerox, who also hosts the cool Copycat Cover Song Night at Otto’s Shrunken Head, was in and out of the room all night, shaking hands and buying drinks for his friends. The Boog paid tribute to him by playing the “Copy Cat” song, then following it with a whole slew of cover songs; 12 of next 14 records he played!